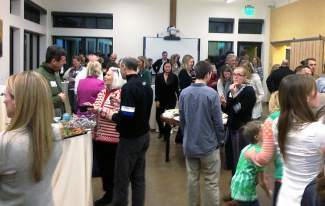 Representatives of 54 Vail Valley schools and nonprofit groups gathered Dec. 9 at the Walking Mountains Science Center for presentation of the latest round of Vail Resorts' community grants. The company this year has awarded about $2.5 million in grants. 54: Eagle County based nonprofit groups and schools that received Vail Resorts community grants. $2.5 million: Approximate total of those grants. 1,000: Approximate number of injured veterans hosted by the Vail Veterans program since 2004. 10,000: Weekend meals provided to low-income Vail Valley kids last year by the Food Rescue Express backpack program. AVON — People involved in nonprofit groups don’t usually have a chance to swap stories with each other. A Monday reception at the Walking Mountains Science Center provided just that opportunity. The occasion was the presentation of 2014 community grants by Vail Resorts’ Echo program. This year, the company provided about $2.5 million to 54 schools and nonprofit groups in Eagle County. The company’s total community giving is about $6.5 million across all its resorts. 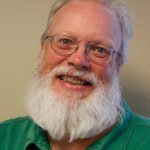 The roster of recipients ranged from well-known groups like the Vail Valley Foundation to the Food Rescue Express. The latter all-volunteer group operates out of founder Toni Berns’ Edwards-area garage. A few years ago, Berns, then the cafeteria cook at Avon Elementary School, noticed that some of the kids in the school’s program that provides free and reduced-priced lunches were coming to school hungry on Mondays. Borrowing an idea she’d seen elsewhere, Berns organized a program that sends select kids home for the weekend with a backpack full of nutritious, non-perishable food ranging from rice and beans to canned soup to cereal and “shelf-stable” milk — which doesn’t require refrigeration until it’s opened. Operating with donations and an annual budget of less than $10,000, the program last year provided a total of more than 10,000 meals to kids from eight local schools. This year’s program has expanded to eight elementary schools and two middle schools. Berns would like to do more, of course — that’s the first instinct of people dedicated to helping others. Making more people aware of the program is one way to do that. Monday, Berns shared some of her experiences, as did other grant recipients. “We thought it would be good for people to talk about why they’re doing it and why it matters,” said Nicky DeFord, who runs Vail Resorts’ Echo program of community grants. Having people talk about their causes had a profound effect on Cheryl Jensen, one of the founders of the Vail Veterans Program, which brings badly injured war veterans to the valley for a bit of mountain recreation. The event also gave another grant recipient a chance to show off a bit. Vail Resorts is Walking Mountains Science Center’s biggest corporate supporter. The company helped fund the center’s new facility in Avon and also provides support and space for the Nature Discovery Center on Vail Mountain as well as other educational programs. Doug Dusenberry, the center’s director of giving, said while the center has been open for a while now, Monday’s event was the first time many grant recipients had been to the facility. Markian Feduschak, director of the science center, said bringing grant recipients together was a chance for those who attended to see the impact of Vail Resorts’ grant program. “It was fun for all of us to get together — a real pleasure,” Feduschak said. DeFord said the grant program goes beyond simply writing checks. The company also provides “products” — passes, mostly — as well as food and facilities to schools and nonprofit groups. “We couldn’t do what we do without them,” Feduschak said, adding that groups like SOS Outreach, which takes lower-income and at-risk kids snowboarding, couldn’t do their jobs without the resort company’s support, either. And it looks like future grant presentations will give the people who help the community a chance to share the stories of the their successes and challenges.